Oh how I love Pizza. The last Pizza I had from a restaurant was so long ago I can’t even remember. 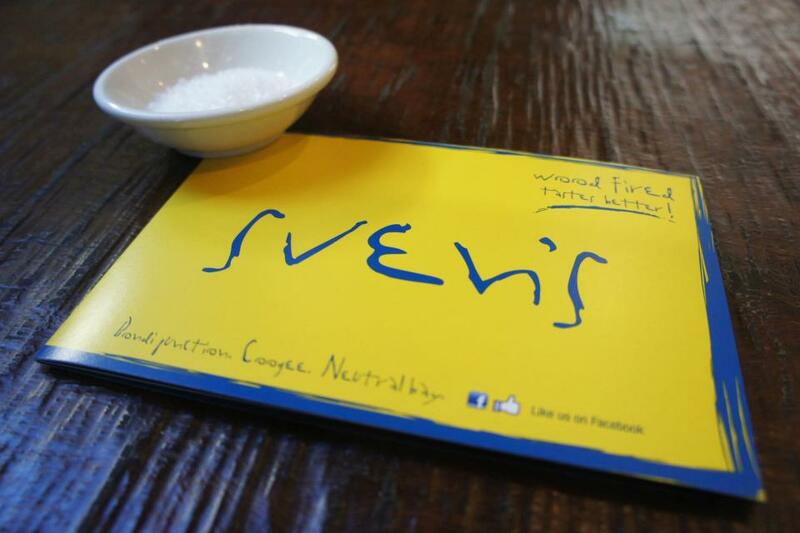 Miss K and I were in Bondi recently for Sculptures by the Sea which we go to every year (this year wasn’t that great), for dinner we decided to check out Svens Viking Pizza which supposedly had some really interesting and good Swedish pizzas. Apparently I had a pizza from the Coogee store a long time back but I don’t remember anymore so this was new to me. I have to admit I found this entree surprisingly addictive and tasty, I normally hate coleslaw because of the taste but this had a hint of oregano and some sort of sour dressing which I assume is lemon juice. 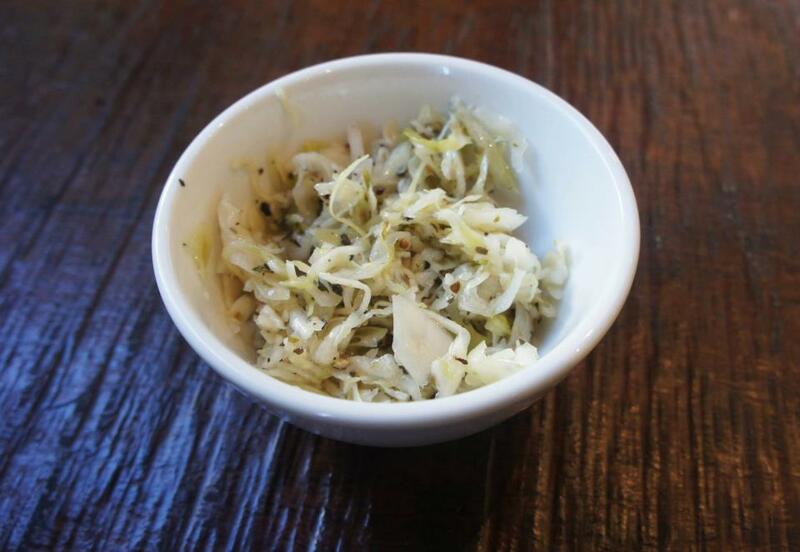 We both somehow managed to finish off all the coleslaw down to the very last bit and ended up craving more. 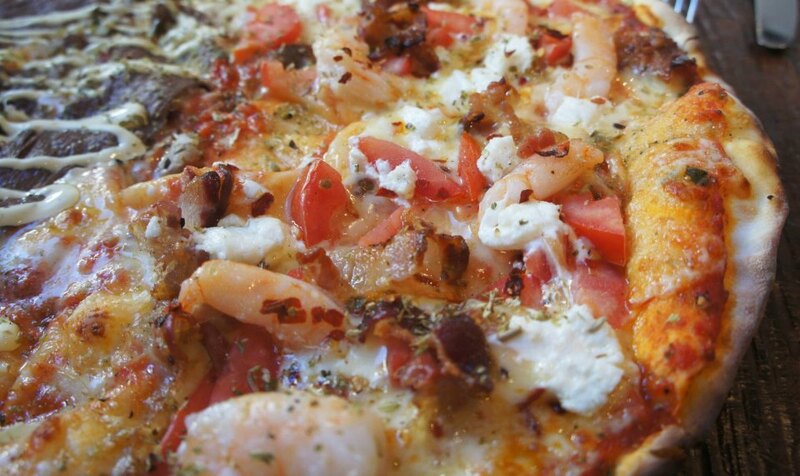 This time round we decided to order one big pizza instead of two smaller ones because we weren’t starving, the first half was chilli/garlic prawns which were fresh and covered with delicious fetta. 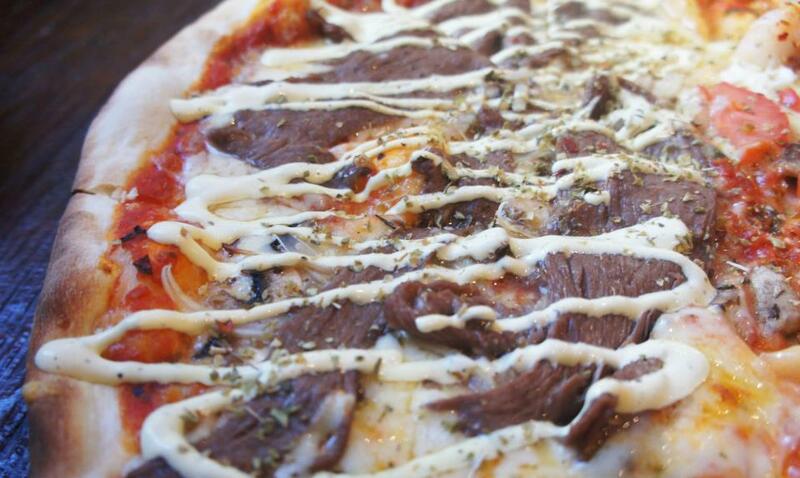 The second half of the pizza was a Swedish specialty, beef and Bearnaise sauce with my favorite mushroom topping. This has to be one of my favorite pizzas I’ve had, the beef and sauce went perfect with the mushrooms to create a very flavorsome pizza. Overall I would definitely come back to Svens Viking Pizza, they have a page filled with different toppings and I would love to try them all again. 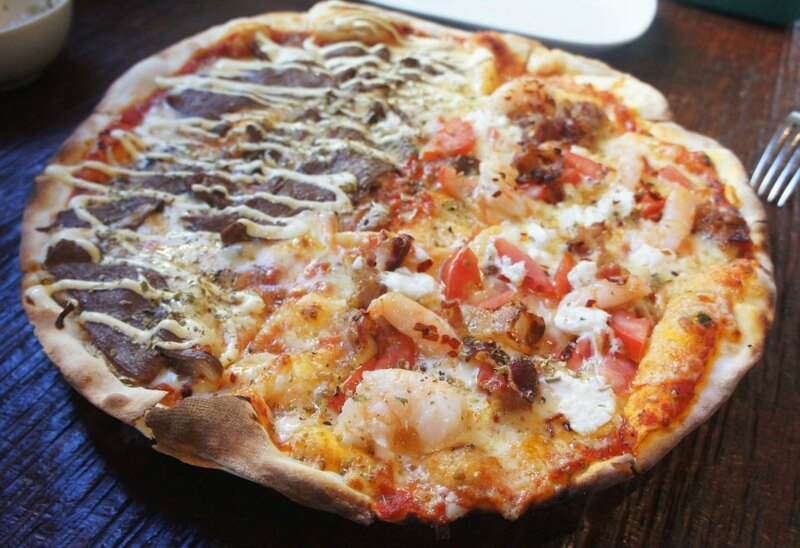 One in particular that caught my eye was a Swedish Donor Kebab pizza which is apparently quite popular in Sweden! I drive past this place ALL the time and keep wondering what the food is like, so thank you for posting this! It looks great and bahahah at the drivers wearing Viking helmets! That is soooo funny! That pizza looks awesome. It really does remind me of the pizzas in Italy where it’s all about the base with minimal toppings. Mmmm.